North Bay Regional Health Centre is committed to holistic healing, including the spiritual needs of our patients. During the admission process, you will be asked your religion. Unless you notify us otherwise, your name, room number and religious affiliation will be included on the patient list, available to community clergy/spiritual care providers from your indicated religion. You have choices for your spiritual care needs. 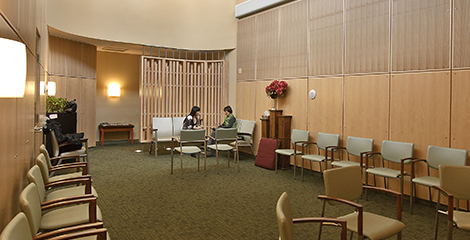 Patients and their families can choose to contact the NBRHC chaplain, their own clergy/spiritual care provider. Emotional support to those with no faith background. Religion and spirituality are never pushed by chaplains. A Chaplain can be of support to you when you are facing a variety of life circumstances. In the midst of these you may be feeling a variety of emotions including stress, hopelessness, helplessness, fear, or loneliness. A chaplain can be a support in these times. A chaplain is also available to celebrate with you in times of joy and happiness. The Spiritual Centre is located by the West Main Entrance. 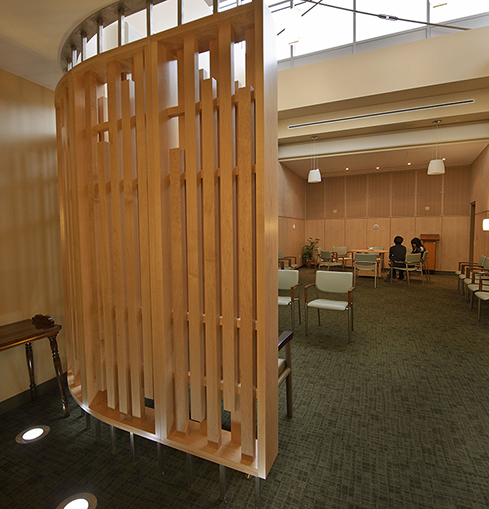 This Sacred Space is provided to patients, their families, and to staff. It is open for personal prayer and meditation at times when there is no scheduled service. There is a Catholic service every Wednesday at 3 p.m. There is a Muslim Friday prayer service offered Fridays at 1:30 p.m. On Sundays there is a Christian Service provided by various denominations at 2 p.m. To book the use of the Spiritual Centre, and for more information, please contact the secretary for Chaplaincy Services. A Chaplain is available for inpatients from 8 am until 9 pm each day. If you wish to speak with one you can, ask a nurse to contact one, or you may call switchboard (705-474-8600) and ask to speak with a chaplain.